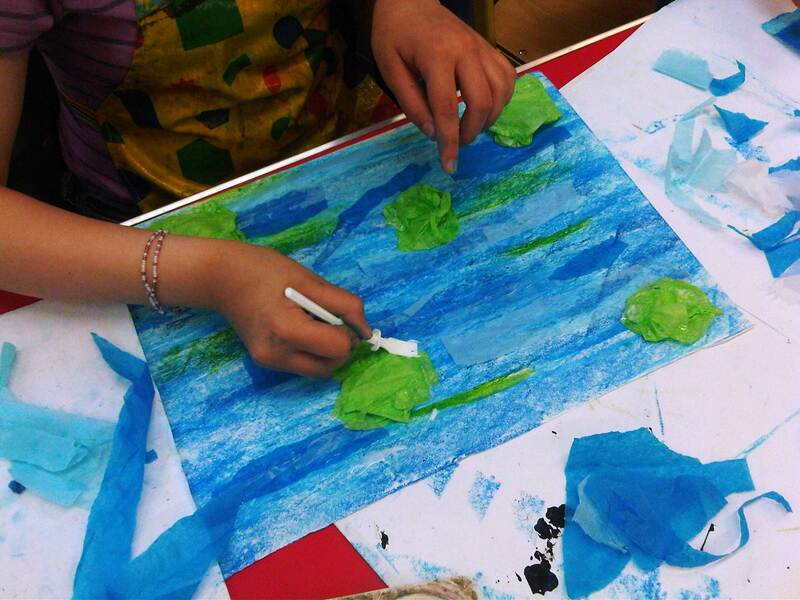 Recreate Monet’s water lilies using tissue paper! 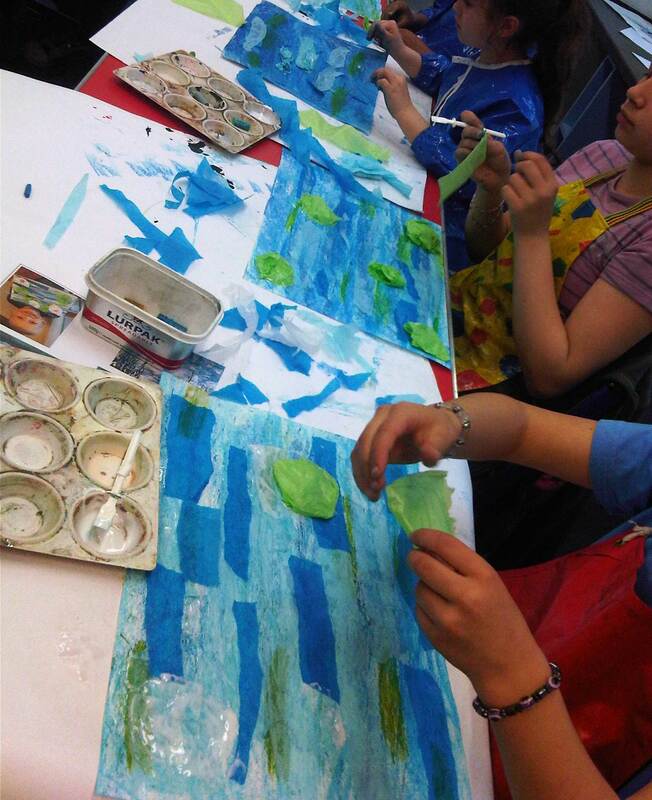 These children rubbed blue oil pastel over white paper until it was covered. 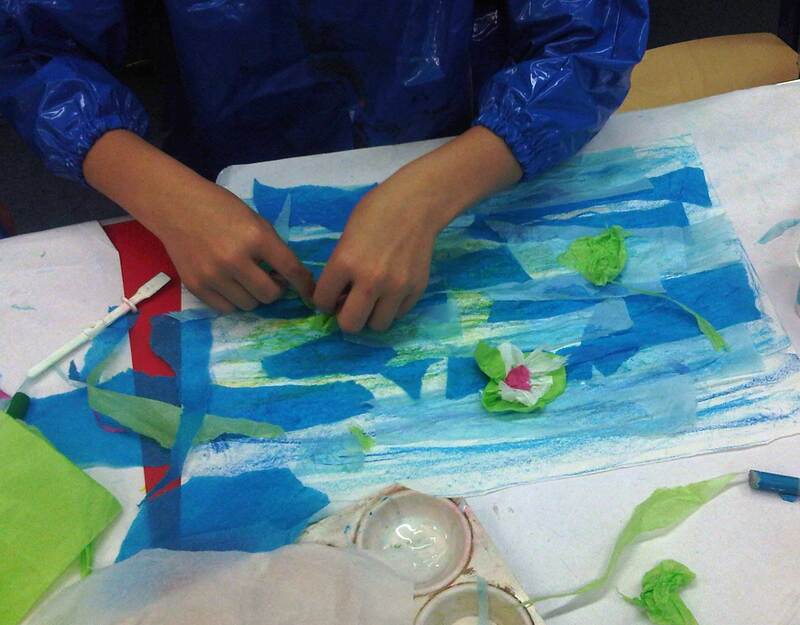 They then pasted on strips of white and blue tissue paper using PVA glue mixed with water. 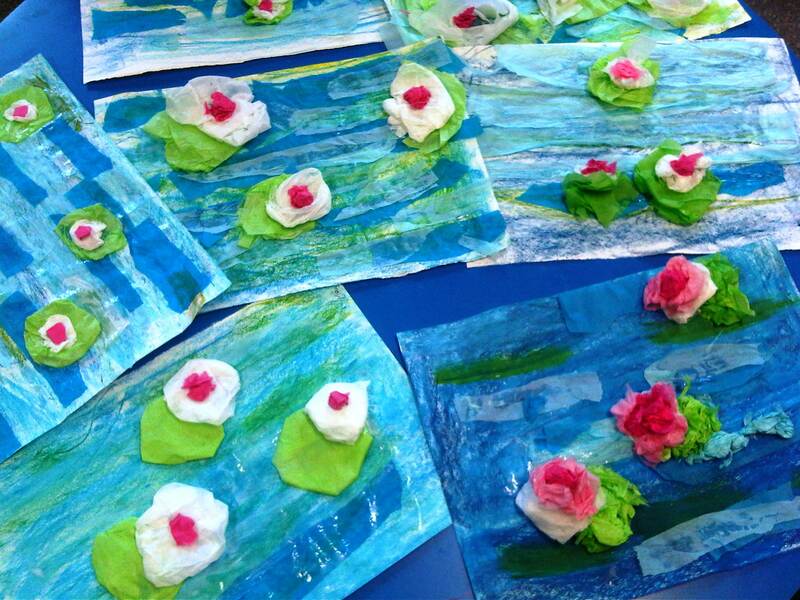 The children scrunched up green, white and pink tissue paper to create the water lilies which were then stuck on top.